Weho Daily » Are Dense Weho Developments a Problem Without Subway? 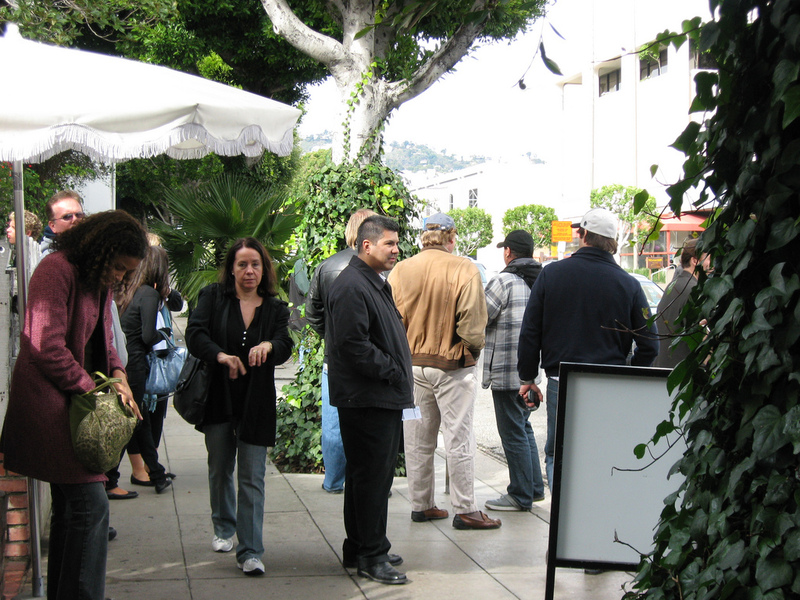 Are Dense Weho Developments a Problem Without Subway? Some are wondering what kind of trouble the City of West Hollywood is in now that a subway isn’t planned through our area. L.A. Weekly just posted a story on the subject, and former West Hollywood City Councilman Steve Martin talks about this in a column at WeHo News. 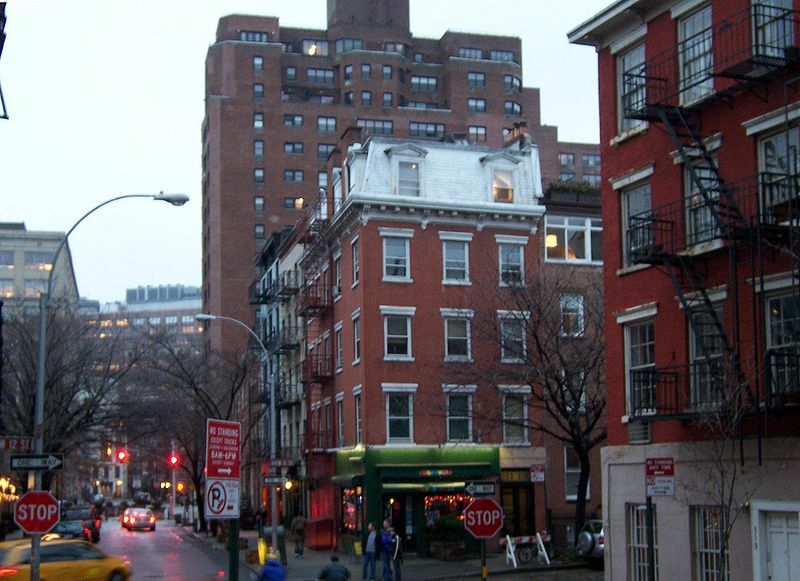 They say that the potential of a subway was often used as an example of why buildings with increased density were being allowed to be developed here. The possibility of the subway undoubtedly has come up in many city council and planning commission meetings in relation to density discussions. But the possibility of a subway isn’t the only reason to allow greater density development on our streets. Most of us enjoy living with a degree of density in development around us. It provides for more restaurants, shops and other businesses and services to be within walking distance from where we live or work. If we didn’t appreciate this proximity to businesses, we could very easily be living in more suburban locales nearby. Reducing the proximity of goods and services alone — even without a subway being built — can reduce the use of cars for local trips. The right level of density is often a key component in making certain neighborhoods great. Sites such as WalkScore provide ratings based on how many things are available to you in close proximity,and real estate agents are even including WalkScores in real estate advertisements. Many great destination neighborhoods in cities such as London, Paris, New York and elsewhere are based around fairly dense, walkable neighborhoods, bustling with cafes, restaurants, bars and shops… along with the energy of people on the street enjoying them. But our neighborhoods in West Hollywood are still very car-centric (perhaps less than some nearby ares), and they lack a lot of the charm usually associated with a pleasant area to walk. There are only a few spots, such as Robertson Blvd and Melrose Ave, that have some degree of appeal as places to wander the streets. And there are a few blocks around the gay bars that see some foot traffic at night, along with a bit of walking in the Sunset Plaza area. But places like Fairfax and Santa Monica Blvd are not terribly enjoyable destinations for pedestrians. Yes, the Sunset Strip has gone through some changes during that time. But is it any coincidence that over this same period America, and Los Angeles in particular, has become increasingly focused on the automobile? We own more cars today, and traffic on the streets is continually worse. 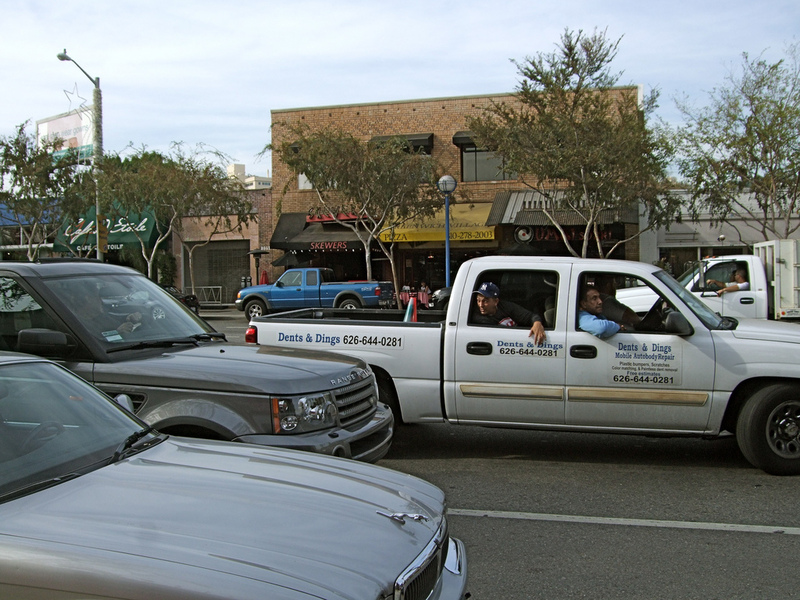 There are not many things that we can do to solve the traffic problems in West Hollywood and the Westside. There are simply too many cars, and too many of them that want to drive through our city en route to other destinations. We could always resurrect the proposals for freeways through Laurel Canyon and Beverly Hills as was proposed around 1958. Most people are glad these freeways were never built, which by extension means that most people probably agree that there are limits to how far we should go to accommodate vehicular traffic. Improving traffic capacity or flow is like providing warm and moist incubation for a virus in a petri dish… it will just grow out of control to fill whatever space you give it. That’s what has happened on basically every freeway and street in Los Angeles. There is never, ever going to be enough capacity for traffic in West Hollywood. So if we build more capacity, we’ll just have an even bigger problem to deal with in the future while suffering in a myriad of ways more so than we do now. Or, we can change the way we live, and try to put things closer together and show the rest of Los Angeles that there is at least one place in this sprawling land where we value real people having real experiences on our streets over automobiles and parking lots. If more of our traffic capacity is taken up by LOCAL traffic, rather than people commuting across Weho to jobs on the Westside, that’s probably a good thing. And maybe, just maybe, we’ll find that we’ve solved our traffic problems in the process by putting our foot down and making it less desirable for people with no business in West Hollywood to drive here. We can no longer socially engineer West Hollywood or any of our urban areas in favor of single-occupancy automobiles. We need to keep working towards bringing a subway to WeHo. Metro still says a light-rail subway may be possible in the future. In the meantime, we should eliminate parking on Santa Monica Blvd. and create a transit-only lane for buses and possibly modern streetcars. One of the reasons West Hollywood didn’t get the subway this time around is it wouldn’t have qualified for federal funding because the area is not dense enough to meet ridership/cost targets set by the government. If West Hollywood continues to build the high quality, high density housing that the market is demanding, it will be easier to get a subway in the near future. Increased bus service and bus only lanes are comparatively inexpensive options to improve public transportation in the meantime. MTA still has this area in mind for a train line in the relative near term, and have already explored the idea of planning a northward extension of the to-be-built Crenshaw line along San Vicente and Santa Monica Blvds with a terminus at the red line at Hollywood and Highland. This is so right …. A great characterization of WeHo. Commenters below have it a**backwards. WH is denser now than the plans for West LA by 2035. LA now = 12k/sq mi. WH now = 19k/sq mi. LA 2035 = 15k/sq mi. WH 2035 = 23k/sq mi. It is not about making WH denser to support a subway. To get people walking in the streets as in SM and BH, and even on Robertson, all of those places have low cost municipal parking lots that allow people to park once and spend the day. Until WH builds same, the city will continue to die.